The relative cutting position between work piece and cutting wheel is changed all the time, then the cutting resistance is reduced and area temperature between work piece and wheel is not going to be too high to burn the wheel, then the cutting efficiency and area is much bigger than normal, especially when the work piece is big size angle iron, round steel, channel steel and other sheet metal. Because the temperature of cutting surface during cutting is not very high, the surface will not become blue and easy for machining afterwards, then we really realize ‘less time, less consumption of electric power and abrasive wheel’. There’s a supporting roller to support and rotate the work piece during cutting. 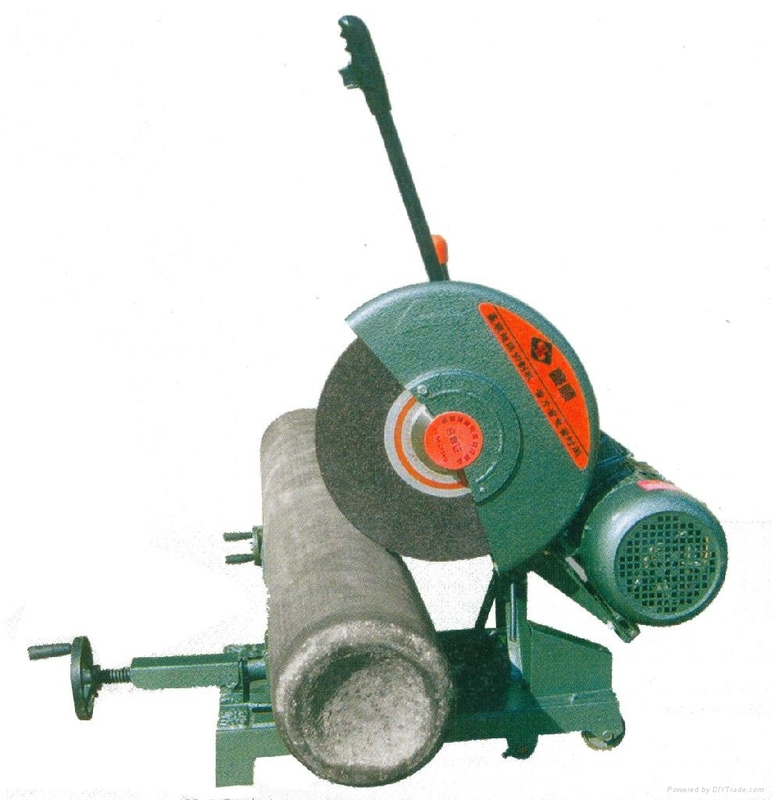 Through cooperation between roller and work piece, when work piece is rotating, then it can reduce friction between base and work piece, make it easy to rotate. Before cutting, we can adjust the height of base, then put the work piece to a position, where it is convenient for cutting. Because it’s very easy to rotate the work piece during cutting, and change the cutting area, then no need to stop working when cut big size material, with high efficiency! So this patent cutting machine also has a cradle with rollers. The workpiece will move forward and backwards by running the roller, which will be convenience for workers and good for the machine itself because of its’ supporting function. Below item No. 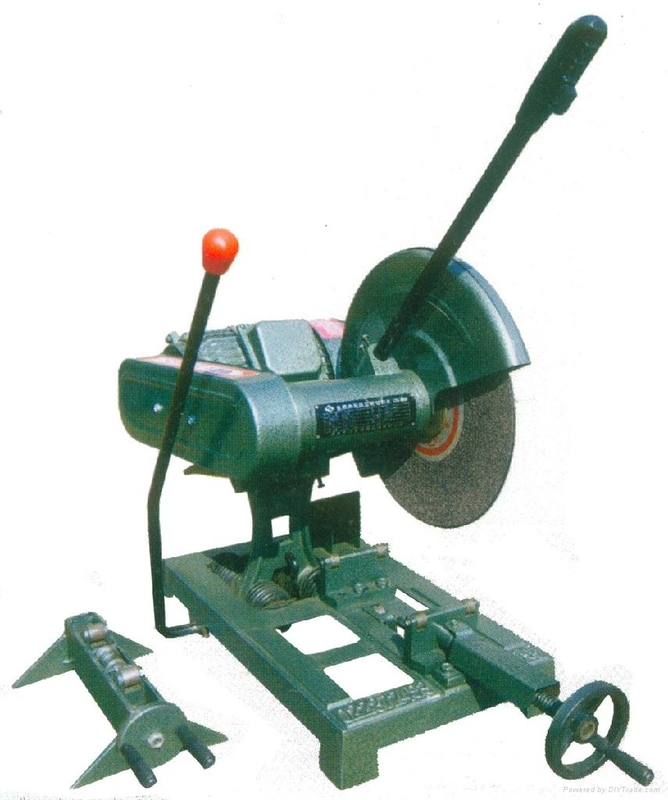 : J3G-400R1, 400R2, are all under Patent: “Horizontal shift during cutting” & “Rotate workpiece during cutting”, but with different motor power. Below please find the specification.